This is a rice of Italian origin that we have been growing recently. It has a large, pearled and rather long grain. The plant is also very rustic, with large leaves and a thick stem (very much like the Bomba variety). It has a spectacular blossom featuring a very scant number of characteristic red flowers that are very delicate and sensitive. 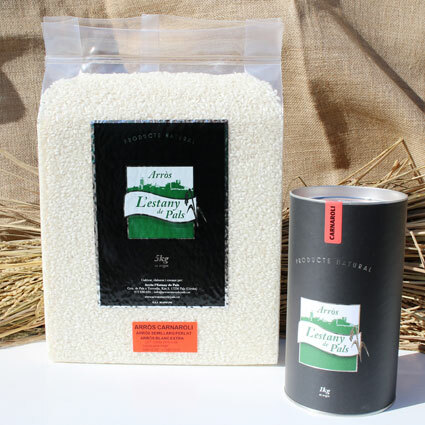 Of all the types of rice we grow, Carnaroli, like the Bomba variety, is of supreme quality and has a very intense flavour, with a distinctive taste that adds a touch of quality to the dishes in which it is used. It is the best rice for risottos, rice pudding and any type of boiled rice. Time is about 12 to 15 minutes.